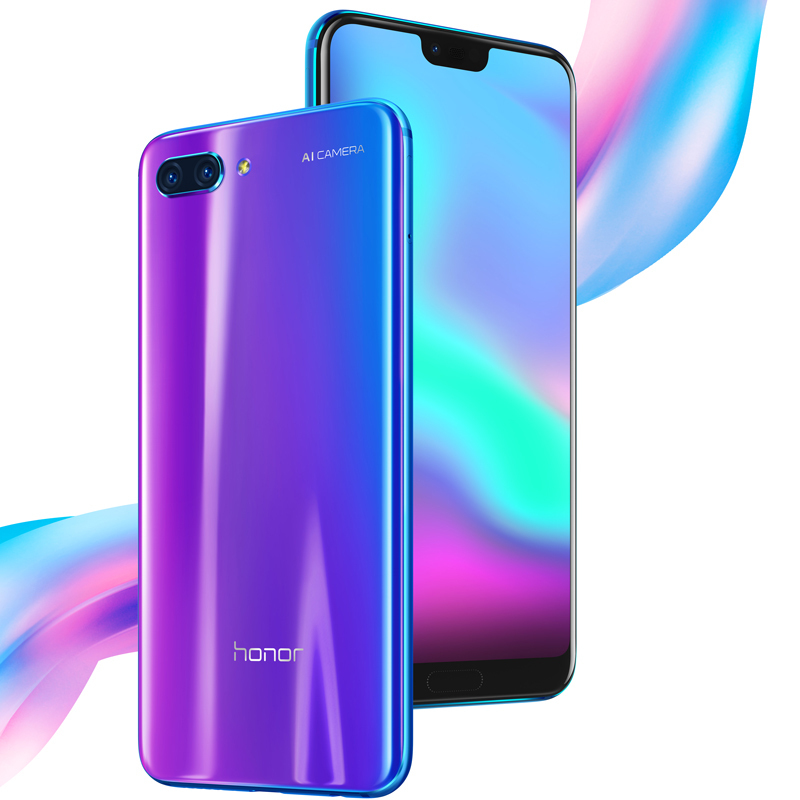 Honor 10 Goes Official Globally for 499 euros - Playfuldroid! In April, Huawei’s sub-brand Honor had launched the Honor 10 smartphone in China. Today, the Honor 10 phone has been officially announced for global markets through a launch event in London. It has arrived as the cheapest Kirin 970 chipset driven smartphone. The Honor 10 houses a 5.84-inch IPS LCD display that offers an aspect ratio of 19:9 along with FHD+ resolution. The display features a notch that houses the 24-megapixel AI selfie camera, an earpiece and a proximity sensor. The Kirin 970 SoC of the Honor 10 is assisted by 4 GB of RAM. It comes in storage models like 64 GB and 128 GB. The rear panel of the Honor 10 houses a dual camera setup that includes a 24-megapixel primary sensor and a 16-megapixel secondary sensor. 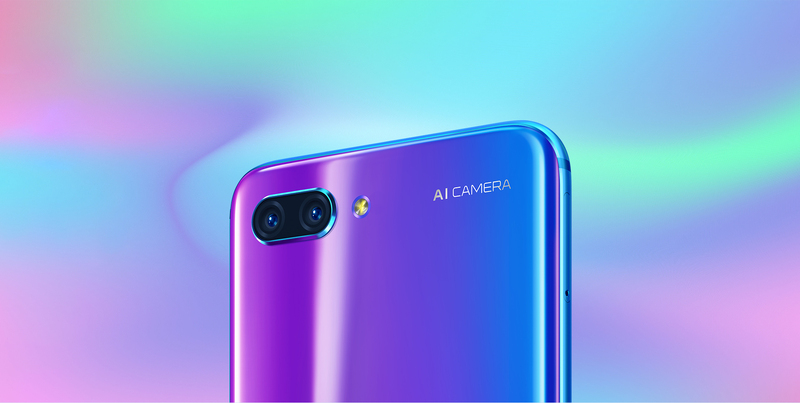 With AI, the Honor 10 supports scene detection and portrait shots. The front camera can be also used for facial recognition. The handset receives power from 18W fast charging enabled 3,400mAh battery. It comes preinstalled with Android 8.1 Oreo and EMUI 8.1. The Honor 10 is available with a price tag of 449 euros and 399 euros respectively for the 128 GB and 64 GB models. It will be available for buying in 26 countries beginning from today. The color variants of the Honor 10 include Glacier Grey, Midnight Black, Phantom and Phantom Green. The latter offer shades of two colors when viewed from different angles like the Twilight color edition of Huawei P20 and P20 Pro.